What does a handyman technician do? What licenses do they hold? Considering the daily activities of a handyman technician, skills like specialty training, certifications, and experience come to mind. Now consider a handyman business itself. While great techs are the lifeblood of that business, somebody needs to understand and lead that organization with a very different set of skills. While there’s always room for overlap, there’s no reason you need to be an expert technician to run a successful handyman business. 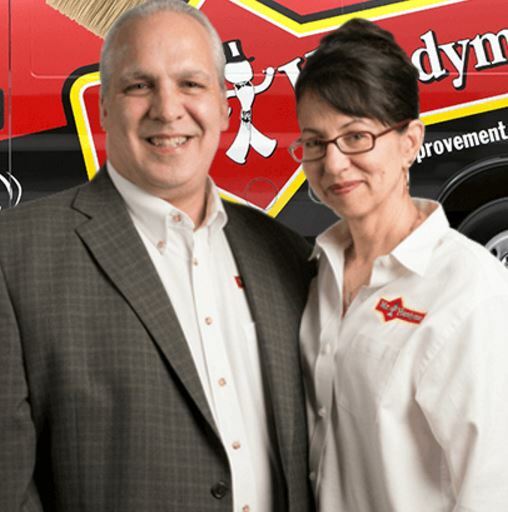 What Does it Take to Run a Mr. Handyman Business? An all-too-common story is one in which a great tech goes into business for themselves, and encounters business catastrophe from a lack of applicable business skills. A business-savvy professional, however, can control and steer a handyman company towards growth and profitability without the prerequisite of knowing how to re-shingle a roof. The handyman industry is truly unique, and requires an experienced business professional at the helm. Because of the versatility of handyman services, a business must be flexible and adaptable, as well as accessible to myriad types of clients. One service call might be a commercial siding job, while the next could be fixing a residential clogged sink or toilet. Incorporating a wide variety of both commercial and residential services into a business model is just one example of the challenges facing this tricky but lucrative $3 billion dollar industry. Another reason business leadership is so important for a handyman business is the ability to look ahead to the future and base your decisions on projections, both economic and technological. Homes, commercial facilities, and their appliances are all getting smarter, and therefore technicians will need to stay abreast of the latest residential and commercial technological changes in order for your company to stay relevant. Whether you’re a young entrepreneur with business management training and skills, or a retired manager looking for a new startup opportunity, Mr. Handyman is looking for business leaders capable of running a solid business in this promising sector. To learn more or to speak with a franchise developer, contact us today!